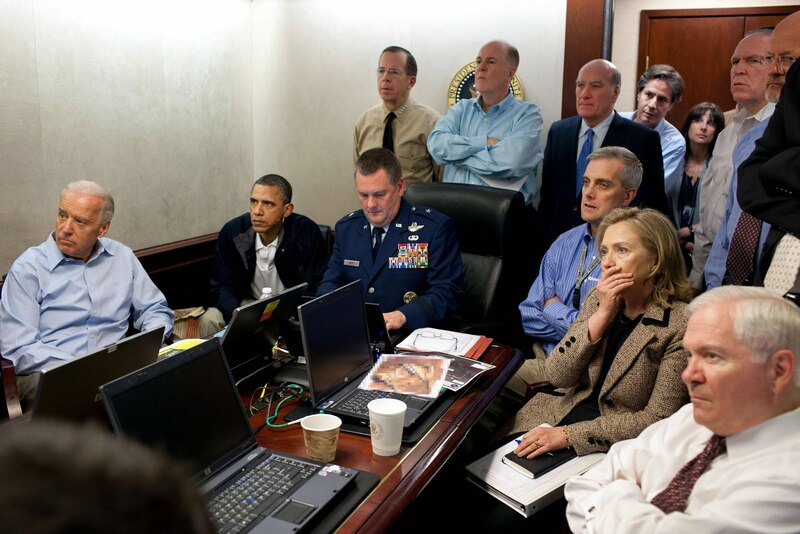 Mea Vita: Carpe Diem: Was the Killing of bin Laden Legal? Under the law of war, a combatant can engage the enemy at any time as long as they're not surrendering. Even if the enemy is running from the fight (retreating) - as was the case at the Highway of Death - they're still a legitimate target. Surrender is an honorable action when you no longer have any means to resist (Article II of the Code of Conduct). This leads to a couple questions. 1. Was bin Laden a civilian? 2. If so, can civilians be considered combatants? The short answer to the second question is yes; even if bin Laden was considered a civilian, civilians can be considered combatants when they take up arms (some exceptions are peace officers, such as the police). When civilians take up arms it is referred to as levée en masse. Al Qada's attacks on the World Trade Center in 1993 & 2001, American embassies in East African in 1998, USS Cole in 2000, etc. were attacks (acts of war) against the sovereign nation of the United States of America. Al Qada carried out these attacks as a perverse misinterpretation of Islamic defensive jihad. Therefore, the plan to capture or kill bin Laden (Operation Neptune Spear) was legal. Now here's an interesting thought, try reversing the situation. What is the status of the President of the United States? He's clearly the commander-in-chief of the U.S. Armed Forces, yet he is a definitely a civilian. Imagine if Iraqi commandos flew into Texas, captured former President Bush, and labeled him a war criminal for attacking and occupying Iraq? How would Article 98 of the Rome Statute apply? The real challenge is figuring out how the end to the War on Terror will look. What parties will sign the treaty? Will al Qada, one day, gain legitimacy in the eyes of the U.N., like the PLO did in the 1970s and 1980s, in order to take a seat at the table?